The last decade has witnessed a growing recognition of the need for significant changes in educational assessment practices (Archbald and Newmann 1988, Shepard 1989). The calls for reform are directed not only at large-scale, standardized tests but also at classroom assessment practices. At least three factors have contributed to the demands for assessment reform: the changing nature of educational goals; the relationship between assessment and teaching and learning; and the limitations of the current methods of recording performance and reporting credit. The "back to basics" movement of the 1970s led to an emphasis on low-level functional skills and the proliferation of minimum-competency tests. The reform movement of the 1990s, however, is directed toward more sophisticated educational goals and higher standards. This new emphasis is perhaps most publicly symbolized by the 1991 "education summit" in Charlottesville, Virginia, during which President Bush and the nation's state governors presented America 2000, a proposal outlining an ambitious set of national education goals targeted for the year 2000 (Bush 1991). America 2000 called for no less than the best schools in the world, schools that will enable all students to meet "world class" academic standards. In response, subject-area associations and commissioned groups began charting a set of national curriculum standards to provide greater specificity about what students should know and be able to do in each of the content areas. This emphasis on goals outside the traditional content disciplines is also reflected in some popular approaches to school reform not necessarily associated with the America 2000 proposal or its related efforts. For example, William Spady, an advocate of outcome-based education, argues persuasively that educators must broaden their target to include outcomes that relate to lifelong learning (Spady 1988). A number of other states, including Maine, Michigan, Minnesota, Pennsylvania, and Virginia, have included similar lifelong learning outcomes among their revised educational goals. Many of the tests we do use are unable to measure what should be the hallmark of a "thinking" curriculum: the cultivation of students' ability to apply skills and knowledge to real-world problems. Testing practices may in fact interfere with the kind of higher order skills that are desired (Resnick 1987, p. 47). These shortcomings make it clear that new approaches to assessment are needed if we are to satisfactorily assess students' ability to meet the lifelong learning standards and demanding content standards and outcomes that are the centerpiece of the plan to make the American public education system the best in the world. If we want students to learn how to solve open-ended science problems, we should assess their problem-solving skills by other means than multiple-choice tests in which they choose among alternative prescribed answers. Carefully crafted assessments would ask students to supply answers, perform observable acts, demonstrate skills, create products, and supply portfolios of work (National Commission on Testing and Public Policy 1991). Conventional selected-response test formats (e.g., multiple choice, true/false, matching) are quite narrow in their focus. They provide only a snapshot or a "one moment in time" picture of learning. Although such sampling may have certain uses, it is generally incapable of revealing in any comprehensive way what students know and can do. Moreover, the conditions of such tests are often highly controlled. Students complete the work within inflexible time limits and have restricted access to resources and limited opportunities to make revisions. These kinds of tests also sacrifice authenticity, since they differ markedly from the ways in which people apply knowledge in the world outside of school. Despite these limitations, the results of such one-time measures are frequently used to make significant decisions, such as whether a student should be admitted to or excluded from special programs and what final grade a student will receive in a class. What we now know about learning indicates that assessment and learning are closely and intimately tied. The importance of changing assessment practices so they mirror the learning process becomes more clear when one realizes that students in American schools learn what they know they will be tested on. This behavior was dramatically brought to the public's attention in 1983 in Walter Doyle's commissioned paper for the now-famous report A Nation At Risk (National Commission on Excellence in Education 1983). Doyle found that students in American schools soon discover that all things learned are not equal: you are tested on some and not on others. Not surprisingly, most students choose to ignore those things on which they are not tested. And teachers tend to consciously or unconsciously focus their instruction on the learnings that are prescribed and tested by the school, district, or state (Doyle 1983). In effect, then, assessment has both a direct and an indirect effect on learning. Assessment directly affects learning in that it provides the necessary feedback for effective learning. It indirectly affects learning in that instruction is commonly skewed toward what is assessed; and, obviously, what is taught affects what is learned. Given our new understanding of the learning process and the relationship between assessment and both teaching and learning, there is little doubt that reformed assessment practices are long overdue. A third factor driving assessment reform is the manner in which achievement data are recorded and reported. Critics point out that the current methods do not provide meaningful feedback about student performance. For example, at the secondary level, the majority of American school districts rely on the Carnegie unit, which is based on a specified number of clock hours. In other words, students receive credit for the amount of time they spend in specific classes. This system has one major advantage: it can easily be standardized across schools, districts, and states. However, it also has the negative effect of rewarding "seat time" rather than demonstrated competence. All too many educators can cite specific examples of students who received credit for a course primarily because they showed up every day, not because they acquired any new knowledge or skills. A number of advocates for assessment reform are calling for a modification of this certification procedure to emphasize the role of demonstrated proficiency judged against established performance standards (Wiggins 1991). The problems inherent to the Carnegie unit are also found in classroom record keeping and reporting practices. At the classroom level, grades are the most common means of reporting a student's performance. Course grades are generally calculated by averaging the results of various measures. Unfortunately, this approach can too often result in a distorted picture of a student's true proficiency, because specific strengths and weaknesses are masked by the process of averaging. One student with a grade of "C" might perform very differently from another student with a grade of "C." And the letter grade by itself fails to suggest ways for students to improve their performance. What does a "C" grade tell a teacher or, more important, a student about how that student can improve? An alternative approach to classroom reporting documents students' grasp of specific knowledge and skills. Because such a system is grounded by specific performance criteria, reports are more informative and meaningful to students, teachers, parents, and the general school community. If we wish to improve learning, not simply measure it, then we must re- consider our record-keeping and reporting mechanisms. In summary, then, a revolution in assessment is necessary given (1) the changing nature of educational goals to encompass a broad array of academic and nonacademic competencies, (2) the need for assessment practices to enhance the learning and teaching processes, and (3) the need for record-keeping and reporting systems to provide accurate and useful information concerning students' mastery of specific knowledge and skills. Indeed, such a revolution is currently under way in the form of an emphasis on performance assessment. This book is about performance assessment from the perspective of a specific model of teaching and learning, Dimensions of Learning. Although there is growing agreement on the need to reform assessment practices, no such consensus exists regarding assessment terminology. The terms alternative assessment, authentic assessment, and performance assessment are all used in discussions of assessment reform. Although these terms are sometimes used synonymously, they have different meanings. The term alternative assessment applies to any and all assessments that differ from the multiple-choice, timed, one-shot approaches that characterize most standardized and many classroom assessments. The term authentic assessment, popularized by Grant Wiggins (1989), conveys the idea that assessments should engage students in applying knowledge and skills in the same way they are used in the "real world" outside of school. Authentic assessment also reflects good instructional practice, so that teaching to the test is desirable. Performance assessment is a broad term, encompassing many of the characteristics of both authentic assessment and alternative assessment (Mitchell 1992). In this book, performance assessment refers to variety of tasks and situations in which students are given opportunities to demonstrate their understanding and to thoughtfully apply knowledge, skills, and habits of mind in a variety of contexts. These assessments often occur over time and result in a tangible product or observable performance. They encourage self-evaluation and revision, require judgment to score, reveal degrees of proficiency based on established criteria, and make public the scoring criteria. They sometimes involve students working with others. 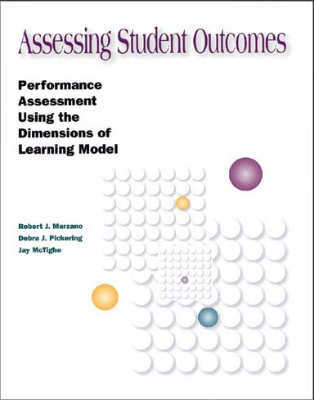 In Chapter 3, we describe our model of performance assessment in detail. It is important to note from the outset, however, that an emphasis on performance assessment does not imply that we should abandon conventional testing. Instead, it reflects the belief that certain educational outcomes cannot be adequately assessed through conventional formats. Indeed, the current emphasis in performance assessment supports the practices that good teachers have always used to assess and improve learning: an array of data-gathering methods, including objective tests, observations, products, performances, and collections of student work. Readers familiar with the current national discussion of standards-based education have no doubt noticed that our discussion of assessment reform has been laced with references to standards. Standards-based education is a rapidly growing movement within the larger movement of educational reform. It is intimately tied to performance assessment. In brief, standards-based education calls for a clearer identification of what students should know and be able to do. The emphasis on clearer educational goals stems from the research finding that what students are taught in a specific subject and at a specific grade level varies greatly among schools, and even among classrooms within a school. Indeed, this was the basic finding of many of the school effectiveness studies of the 1970s. For example, Fisher and his colleagues (1978) reported that one elementary school teacher who was observed for more than ninety days taught nothing about fractions, despite the state mandate to teach the topic at that grade level. When asked about the omission of this topic, the teacher responded, "I don't like fractions." Similarly, Berliner (1979) reported a range of over 4,000 minutes (a low of 5,749 minutes and a high of 9,965 minutes) in the time spent on reading instruction in four 4th grade classes. Again, teacher preference was the basic reason behind the variation. The first standard describes a skill or ability a person might use in completing everyday tasks or academic problems. While driving a car, for instance, a person might use spatial sense to judge the distance of an upcoming turn. In mathematics class, a student might use spatial sense to solve a perplexing problem. The second standard is of a different sort because one does not usually model, draw, and classify shapes to complete everyday tasks or solve academic problems. Such activities are used more as instructional devices to help students understand shapes or demonstrate their understanding of shapes. Standards like the first one above are called content standards because they describe information or skills essential to the practice or application of a particular discipline or content domain. Standards like the second one above are called curriculum standards because they identify the curricular or instructional activities that might be used to help students develop skill and ability within a given content domain. To a great extent, curriculum standards describe the instructional means to achieve content standards. Some theorists describe standards in terms of knowledge and skills; others describe standards in terms of performance on specific tasks. For example, Albert Shanker, president of the American Federation of Teachers, defines a standard as "what we want youngsters to know and be able to do as a result of their education" (Shanker 1992, p. S11). For Shanker, identifying a standard involves identifying specific information or skills that must be mastered to gain expertise in a given domain. Diane Ravitch (1992), a former Assistant Secretary of Education, also describes standards from an information and skill perspective. Grant Wiggins, on the other hand, defines standards more in performance terms. For Wiggins (1989), a standard is a real-world, highly robust task that will, ideally, elicit or require the use of important knowledge and skills in various content domains. The emphasis on performance as the critical feature of a standard is also shared by the psychologists Shavelson, Baxter, and Pine (1992, p. 22), who state that standards should be "based on students' performance of concrete, meaningful tasks." Content standards are those that refer to knowledge and skills belonging to a particular discipline. For example, a standard such as "understands and applies basic principles of number sense" is a content standard because it applies only to mathematics. A standard such as "makes and carries out effective plans," however, is not specific to any content area. In fact, it is not even specific to academics; it is a skill that can be used in virtually all aspects of life. This kind of standard is a lifelong learning standard because it is specific to no one discipline and can be used in many situations throughout a person's lifetime. In this book, we have taken a fairly specific position on the issues discussed above. First, we use the term standard to refer to knowledge and skills as opposed to instructional activities that should occur in the classroom. Thus, curriculum standards are not included in our standards. For us, the instructional implications of the Dimensions of Learning model represent de facto curriculum standards. You can't assess kids' performance unless you give them the tasks, and you can't assess their degree of achievement unless they actually perform the tasks. But first you must be clear about what you want kids to know and be able to do. Those standards become the target for creating the assessment (Tucker 1992, p. 3). Finally, we separate standards into two broad categories, content standards and lifelong learning standards. Content standards deal with the academic knowledge and skills belonging to a specific discipline. Lifelong learning standards deal with knowledge and skills that cut across all disciplines and are applicable to life outside the classroom. Identifying specific content and lifelong learning standards is an important part of the assessment revolution in American education; it is a task we will tackle in the remainder of this book. Remember, however, that this task goes hand in hand with planning and delivering instruction that takes into account the constructivist nature of learning, a task which the Dimensions of Learning Teacher's Manual was designed to help teachers accomplish. Copyright © 1993 by McRel Institute. All rights reserved. No part of this publication—including the drawings, graphs, illustrations, or chapters, except for brief quotations in critical reviews or articles—may be reproduced or transmitted in any form or by any means, electronic or mechanical, including photocopy, recording, or any information storage and retrieval system, without permission from ASCD.